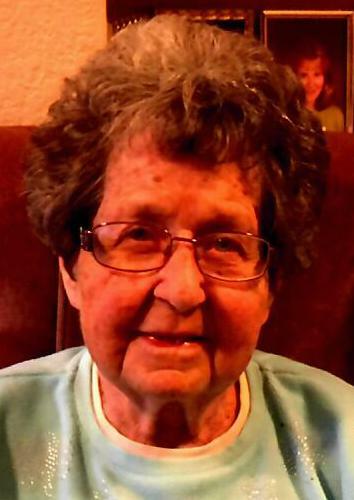 Beverley Louise Morgan, 90, of Gaston, passed away on Sunday, November 18, 2018 at IU Health Ball Memorial Hospital. Beverley was born November 6, 1928 in Muncie, Indiana to the late Evin and Viola VanArsdol. Beverley was a 1946 graduate of Muncie Central High School. Beverley worked as the secretary at Morgan Trucking, her family business. Beverley is survived by two sons, Harold Morgan (wife Roseann) of Parker City and David Morgan (wife Jane) of Gaston; eight grandchildren; 21 great-grandchildren; and three great-great-grandchildren. Beverley was preceded in death by her loving husband, Hobert Morgan; daughter, Carolyn Parker; and a great-grandchild. A funeral service to celebrate Beverley’s life will be held at 1:00 P.M. Wednesday, November 21, 2018 at Gant Funeral Homes, Gaston Chapel, 109 W. Elm St. in Gaston, Indiana. Pastor Michael Osborne will officiate. Burial will follow in Thompson Cemetery. Friends and family may gather to share and remember from 11:00 A.M. until 1:00 P.M. Wednesday at Gant Funeral Homes, Gaston Chapel. Memorial contributions may be given Gaston American Legion, P.O. Box 573, Gaston, IN 47342. The Gant and Miller families are honored to celebrate Beverley’s life with her family and community.